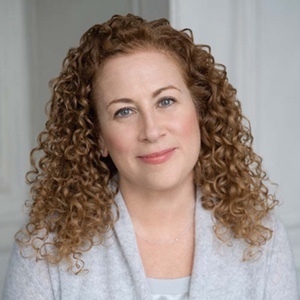 As in her previous novels, Picoult creates compelling, three-dimensional characters who tell a story in alternating voices about what it might mean to be a good parent and a good person, to be true to ourselves and those we love. Picoult weaves together plot and characterization in a landscape that is fleshed out in rich, journalistic detail, so that readers will come away with intriguing questions rather than pat answers. And when a policemen arrives to disclose a truth that will upend the world as she knows it, Delia must search through these memories – even when they have the potential to devastate her life, and the lives of those she loves most. 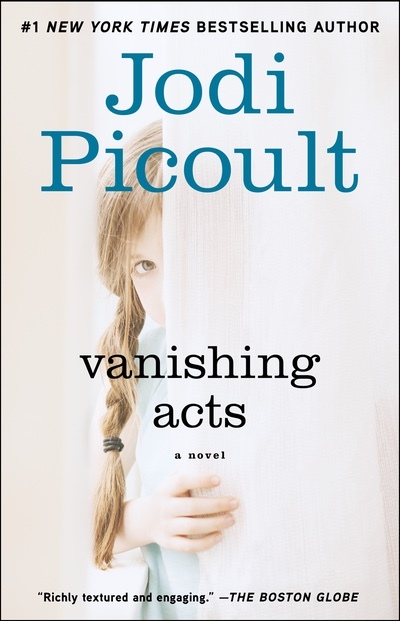 Vanishing Acts is a book about the nature and power of memory; about what happens when the past we have been running from catches up to us… and what happens when the memory we thought had vanished returns as a threat. When she learns she was kidnapped as a child, Delia’s choice of profession takes on a new significance. What motivated Delia to pursue a career in search-and-rescue? Does she view it differently once she knows about her past? A recurrent theme in Vanishing Acts is self-identity. Are we products of our pasts, or do we have more control over whom we become? Delia says that as children she, Fitz, and Eric each had their roles: “Fitz was the dreamer; I was the practical tactician. Eric, on the other hand, was the front man: the one who could charm adults or other kids with equal ease.” Have they continued these roles into adulthood? How so? Is each one comfortable in his or her role, or is there a longing to be something different? In one instance Eric muses that “there are people in this world who have done worse things than Andrew Hopkins.” What is your opinion of what Andrew did— taking Delia away from her mother and creating a new life for the two of them? From a legal standpoint, is he guilty of a crime? How about from a moral standpoint? Andrew himself says, “Does it really matter why I did it? By now, you’ve already formed your impression. You believe that an act committed a lifetime ago defines a man, or you believe that a person’s past has nothing to do with his future.” A person cannot change his or her past actions, but can they make up for the hurt they’ve caused by helping others? Does the good that Andrew has done for the town of Wexton and for the senior citizens in his care— not to mention the happy childhood he gave Delia— make up for or excuse his taking his daughter? What do you make of Elise’s remark to Andrew that Delia “turned out absolutely perfect”? Andrew says, “Believe what you want, but be prepared to answer this question: In my shoes, how do you know you wouldn't have done the same thing?” Would you have done the same thing? If you feel that what Andrew did was wrong, what would have been a more appropriate alternative to ensure Delia's best interests? Eric believes that he does not have “the experience or the wits or the confidence” to represent Andrew. Why then does he agree to take on the case? Why does he continue to act as Andrew’s attorney even when it causes tension between him and Delia? In one instance Delia says to Fitz about meeting her mother for the first time, “I want this to be perfect. I want her to be perfect. But what if she’s not? What if I’m not?” How does the reality measure up when she finally meets her mother? What kind of understanding do Delia and Elise come to? Why does Elise give Delia the “spell”— is it to help Andrew or her daughter? Delia believes “it takes two people to make a lie work: the person who tells it, and the one who believes it.” How do the characters in the novel, including Delia herself, prove this to be true? During the trial, Eric tells the court he is an alcoholic. What does the exchange between Eric and Delia while he is questioning her on the witness stand reveal about their relationship? Do they view each other differently after this exchange? As two people who love alcoholics, how does Delia’s treatment of Eric differ from Andrew’s treatment of Elise? Whose actions and reactions, given their partner’s disease, do you support? Eric says to Andrew, “Everyone deserves a second chance.” How does the idea of second chances play out in Vanishing Acts? Are there any characters who deserve a second chance and don’t get one? And, conversely – are there any characters who do get a second chance – and squander it? In what ways does Elise's alcoholism significantly impact both Delia and Eric, and the choices that they ultimately make? In what way does Delia's romantic relationship with Fitz, while engaged to Eric, parallel Andrew's decision to kidnap Delia? Elise tells Delia, “If you had grown up with me, this is one of the things I would have tried to teach you: marry a man who loves you more than you love him. Because I have done both now, and when it is the other way around, there is no spell in the world that can even out the balance.” Discuss this in terms of Delia’s relationships with both Eric and Fitz. Which man do you think Delia should be with, and why? Both Delia and Sophie quickly develop a close relationship with Ruthann. When Ruthann commits suicide, Delia is there to witness it. Why does she not try to stop Ruthann? What does Delia come to realize about herself from this experience? Many of the chapters told from Andrew’s point of view occur while he is in prison, “where everyone reinvents himself.” What do these scenes, which depict in graphic detail the harsh realities of life behind bars, reveal about Andrew? What do they add to the overall storyline? Right versus wrong is a dominant theme in Vanishing Acts— whether Andrew was right or wrong to kidnap Delia, whether Eric is right or wrong to hide his continued drinking from Delia, whether Delia is right or wrong not to stop Ruthann. How do the multiple perspectives in the story blur these lines and show how two people can view the same situation completely different? Were there any instances you changed your mind about something in the story after reading a different character’s viewpoint? Fitz tells Delia, “I think you’re angry at yourself, for not being smart enough to figure this out all on your own… If you don’t want someone to change your life for you again, Dee, you’ve got to change it yourself.” How do Fitz’s words make Delia see her circumstances differently? Ruthann introduces Delia to the Hopi creation myth, which suggests that humans have outgrown the world four times already, and are about to inhabit a fifth. Do most people outgrow their origins? Is reinvention part of the human experience? How do each of the characters actions support or disprove this? At one point, we learn that Fitz has not been writing about Andrew’s trial, but about Delia. In fact, when he reads the first few pages to her, we can recognize them as the first few pages of this book. How does this affect the story you read? Is Fitz a reliable narrator? Much is made of the nature of memory – whether it is stored physically, whether it can be conjured at will, whether it can be organically triggered or planted. Ultimately, do you believe Delia’s recovered memories at the end of the book? Why or why not? Delia says on page 151: “Sometimes knowing what's right isn't a rational decision, or even what works on paper. Sometimes leaving is the best course of action after all.” Do you agree or disagree? Is doing the wrong thing EVER the right thing? Are there are ever circumstances that justify breaking the law? How are each of the main characters— Delia, Fitz, Eric, Andrew, and Elise— most changed by the events that take place? Where do you envision the characters five years from now? A Featured Alternate of the Literary Guild and Doubleday Book Clubs. You can’t exist in this world without leaving a piece of yourself behind. There are concrete paths, like credit card receipts and appointment calendars and promises you’ve made to others. There are microscopic clues, like fingerprints, that stay invisible unless you know how to look for them. But even in the absence of any of this, there’s scent. We live in a cloud that moves with us as we check e-mail and jog and make love and carpool. The whole time, we shed skin – 40,000 cells per minute, on rafts that rise on a current up our legs and under our chins. In the air or on the ground, bacteria attack, creating vapor trails. The truth is, he’s probably right. At this time of the afternoon, as the ground cools down under a setting sun, air currents run down-slope – which means that although the girl probably walked through flatter area some distance away, Greta is picking up the scent trail where it’s drifted. “Greta disagrees,” I say. Human scents are like snowflakes – each one’s different. Blindfolded, I could tell you who’s come into a room at our house – the lily-milk and powder smell of my daughter, Sophie; or the combination of woodsmoke, sage, and pencil-shavings that always reminds me of my father. Greta, though, is even more discriminating. Fifty percent of her nose is devoted to the sense of smell; compared to only one square inch of mine. A dog can smell a thousand times better than a human. So if Greta says that Holly Gardiner wandered out of the playground at Sticks & Stones Day Care and climbed to the top of Mount Deception, I’m going to hike right up there to find her. “ Find her,” I tell Greta, and she bends her head. She casts around to pick up the scent again, and then starts to run. I sprint after the dog, wincing as a branch snaps back against my face and opens a cut over my left eye. We tear through a snarl of vines and burst onto a narrow footpath that opens up into a clearing. I always do. But it isn’t my track record that keeps me in this business. It’s not the adrenaline rush; it’s not even the potential happy ending. It’s because, when you get down to it, I’m lost. I watch the reunion between mother and daughter from a distance – how Holly melts into her mother’s arms, how relief binds them like a seam. Even if she’d been a different race than her daughter or dressed like a gypsy, I would have been able to pick this woman out of a crowd: she is the one who seems unraveled, half of a whole. For a long time, all I had of my mother was a smell – a mixture of vanilla and apples could bring her back as if she were standing a foot away – and then this disappeared too. Not even Greta can find someone without that initial clue. From where she is sitting beside me, Greta nuzzles my forehead, reminding me that I’m bleeding. I wonder if I’ll need stitches; if this will launch my father into another tirade about why I should have become something relatively safer, like a bounty hunter or the leader of a bomb squad. Someone hands me a gauze pad, which I press against the cut above my eye. When I glance up I see it’s Fitz. “What does the other guy look like?” he asks. Fitzwilliam MacMurray grew up in one of the houses beside mine; Eric Talcott lived in the other. I have a long history with both of them that includes drying slugs on the pavement with Morton’s salt, dropping water balloons off the elementary school roof, and kidnapping the gym teacher’s cat. As kids, we grew up in each other’s pockets; as adults, we are still best friends. In fact, Fitz will be pulling double duty at my wedding – as Eric’s best man, and as my man-of-honor. From this angle, Fitz is enormous. He’s six-four, with a shock of red hair that makes him look like he’s on fire, and he’s a reporter for the paper with the largest circulation in our state. “I need a quote from you,” he says. The woman is on the verge of tears; the weight of the moment as heavy and sudden as rain. She grabs my hand and squeezes, a pulse of understanding caught between us, before she heads back to the rescue workers who are taking care of Holly. There were times I missed my mother desperately while I was growing up – when all the other kids at school had two parents at the Holiday Concert; when I got my period and had to sit down with my father to read the directions on the Tampax box; when I first kissed Eric and felt like I might burst out of my skin. “ I know,” I reply, but I watch Holly Gardiner and her mother walk to their car hand in hand, like two jewels on a delicate strand that might at any moment be broken. That night Greta and I are the lead story on the evening news. In rural New Hampshire, we don’t get broadcasts of gang wars and murders and serial rapists, but instead, barns that burn down and ribbon-cuttings at local hospitals and local heroes like me. Sophie is puddle on the living room floor – she still takes an occasional nap after I pick her up from kindergarten, but today I was on a search and my father had to bring her back to the senior center with him until closing time. My father and I stand in the kitchen, getting dinner ready. At nearly sixty, he is good-looking – ageless, almost, with his salt-and-pepper hair and runner’s build. Although there were any number of women who would have thrown themselves at a man like Andrew Hopkins, he only dated sporadically, and he never remarried after my mother died. He used to say that life was all about a boy finding the perfect girl; he was lucky enough to have been handed his in a labor and delivery room. “Eric was supposed to be here a half hour ago.” I try to keep out of my voice all the places I am imagining my fiancé: Murphy’s Bar on Main Street, or Callahan’s on North Park; off the road in a ditch somewhere. “That’s too bad,” I reply. Apparently, Warts is the hot new Beanie Baby. “Maybe for your birthday,” I offer. “I bet you’ll forget that, too,” she says flatly, and she runs up the stairs. All of a sudden I can see the red circle on my calendar – the parent-child tea in her kindergarten class started at one o’clock, when I was halfway up a mountain searching for Holly Gardiner. I don’t have any precedent to follow for motherhood. My own was gone by the time I was four; to be honest, when I found out I was pregnant, I wasn’t even sure I was going to keep the baby. I wasn’t married, and Eric was having enough trouble without tossing in the added responsibility of a child. In the end, though, I couldn’t go through with it. I wanted to be the kind of mother who couldn’t be separated from a child without putting up a fight. I wanted to believe my own mother had been that way. In response, I pick Sophie up and settle her on my lap. “I think about you even when I’m sleeping,” I say. Parenting – with and without Eric, depending on the year – has been much harder than I ever expected. I don’t understand why there are manifestos on how to train a search and rescue hound, or how to get into an Ivy League college or build a sunroom with scrap wood, yet no one has tackled a comprehensive guide to raising a child. Whatever I do right I chalk up to my father’s example. Whatever I do wrong I blame squarely on fate. As one of Wexton’s three attorneys, Eric does real estate transfers and wills and the occasional divorce, but he’s done a little trial work too – representing defendants charged with DUI and petty thefts. He usually wins, which is no surprise to me. After all, more than once I have been a jury of one, and I’ve always managed to be persuaded. Case in point: my wedding. I was perfectly happy to sign a marriage certificate at the courthouse. But then Eric suggested that maybe a big party wasn’t such a bad idea – and before I knew what had happened, I was buried in a pile of brochures for reception venues, and band tapes, and price lists from florists. I hand him a stack of photo albums; we are supposed to find ten of Eric and ten of me as an introductory montage to the wedding video. He cracks the first one open, and there’s a picture of Eric and Fitz and me rolled fat as sausages in our snowsuits. I’m between the two boys; it’s like that in most of the pictures. Long after the point where girls played with girls and boys played with boys, Fitz and Eric and I remained a triumvirate. My father used to call us Siamese triplets. Then one night when we were fifteen we told our parents we were going on a class trip and instead climbed to the top of Dartmouth’s Baker tower to watch a meteor shower. We drank peach schnapps stolen from Eric’s parents’ liquor cabinet and watched the stars play tag with the moon. Fitz fell asleep holding the bottle and Eric and I waited for the cursive of comets. Did you see that one? Eric asked. When I couldn’t find the falling star, he took my hand and guided my finger. And then he just kept holding on. By the time we climbed down at 4:30 A.M., I had had my first kiss, and it wasn’t the three of us anymore. I have the only photo of my mother that is on display in this house. She is on the cusp of smiling, and you cannot look at it without wondering who made her happy just then, and how. Eric and I follow my father to his bedroom and sit down on the double bed, on the side he where doesn’t sleep. From the closet, he takes down a tin with a Pepsi-Cola logo stamped onto the front. He dumps the contents onto the covers between Eric and me – dozens of photographs of my mother, draped in peasant skirts and gauze blouses, her black hair hanging down her back like a river. A wedding portrait: my mother in a belled white dress; my father trussed in his tuxedo, looking like he might bolt at any second. Photos of me, wrapped tight as a croissant, awkwardly balanced in my mother’s arms. And one of my mother and father on an ugly green couch with me between them, a bridge made of dimpled flesh, of blended blood. It’s the ones I don’t find that stay with me. The teenage boy who jumped off the Orford train bridge into the Connecticut River one frigid March; the mother from North Conway who vanished with a pot still boiling on the stove and a toddler in the playpen; the baby snatched out of a car in the Strafford post office parking lot while her sitter was inside dropping off a large package. Sometimes they stand behind me while I’m brushing my teeth; sometimes they’re the last thing I see before I go to sleep; sometimes – like now – they leave me restless in the middle of the night. There is a thick fog, but Greta and I have trained enough in this patch of land to know our way by heart. I sit down on a mossy log as Greta sniffs around the periphery. Above me, something dangles from a branch -- full and round and yellow. I am little, and he has just finished planting a lemon tree in our backyard. I want to make lemonade, but there isn’t any fruit because the tree is just a baby. How long will it take to grow one? I ask. A while, he tells me. I’ll wait, I say. He comes over and takes my hand. Come on, grilla, he says. If we’re going to sit here that long, we’d better get something to eat. There are some dreams that get stuck between your teeth when you sleep; so that when you open your mouth to yawn awake they fly right out of you. But this feels too real. This feels like it has actually happened. I’ve lived in New Hampshire my whole life. No citrus tree can bear our climate, where we have not only White Christmases but also White Halloweens. I reach into the tree and pull down the yellow ball: a crumbling sphere made of birdseed and suet. “ Fine.” She grabs and handful of sugar packets and stuffs them into her handbag right in front of me. “Are you going to pass up the yogurt?” I ask. He opens his hand and spills a pearl necklace into my palm. They he leads me toward the mirror that hangs behind his office door. “They were hers,” he says, and I have a vague recollection of the wedding photo from last night. He fastens the clasp behind me, so that we are both looking in the mirror, seeing someone who isn’t there. The offices of the New Hampshire Gazette are in Manchester, but Fitz does most of his work from home. Greta’s toenails click up the linoleum stairs, and she sits down outside his apartment, in front of a life-size cardboard cutout of Chewbacca. Hanging on a hook on the back is his key; I use it to let myself inside. The dog bounds into the office and nearly climbs onto Fitz’s lap. He rubs her behind the ears, and she snuggles closer to him, knocking several photos off his desk. I bend down to pick them up. In one, there is a man with a hole in the middle of his head, in which he has stuck a lit candle. The second picture is of a grinning boy, who has double pupils dancing in each of his eyes. I hand the snapshots back to Fitz. “Relatives?” I ask. “ What if I were?” I say. Before I know it, I am telling Fitz about the lemon tree. I explain how it felt as if the heat was laying a crown on my head; how the tree had been planted with pebbles around it instead of soil.. How I could read the letters ABC, on the bottoms of my shoes. He knows the routine. He will take off his sweatshirt and leave it at the bottom of the stairs, so that Greta has a scent article. Then he’ll strike off for three miles or five or ten, winding through streets and back roads and woods. I’ll give him a fifteen minute start, and then Greta and I will get to work. “You pick,” I reply, confident that wherever he goes, we will find him. Once, when Greta and I were searching for a runaway, we found his corpse instead. A dead body stops smelling like a live one immediately, and as we got closer, Greta knew something wasn’t right. The boy was hanging from the limb of a massive oak, and Greta turned in a circle, whining. Then she lay down, and put her paws over her nose. It was the first time she’d discovered something she really didn’t want to find, and she didn’t know what to do once she’d found it.
. Fitz leads us on a circuitous trail, from the pizza place through the heart of Wexton’s Main Street, behind the gas station, across a narrow stream, and down a steep incline to the edge of a natural water slide. By the time we reach him, we’ve walked six miles, and I’m soaked up to the knees. Greta finds him crouching behind a copse of trees whose damp leaves glitter like coins. I drive him back home, and then head to Sophie’s school to pick her up. While I wait for the dismissal bell to ring, I take off the strand of pearls. There are fifty-two beads, one for each of the years my mother would have been on earth if she were still alive. I start to feed them through my fingers like the hem of a rosary, starting with prayers – that Eric and I will be happy; that Sophie will grow up safe; that Fitz will find someone to spend his life with; that my father will stay healthy. When I run out, I begin to attach memories, instead – one for each pearl. There is that day she brought me to the petting zoo, a recollection I’ve built entirely around a photo I saw the previous night. The faintest picture of her dancing barefoot in the kitchen. The feel of her hands on my scalp as she massaged in baby shampoo. There’s a flash, too, of her crying on a bed. I don’t want that to be the last thing I see, so I rearrange the memories as if they are a deck of cards, and leave off with her dancing. I imagine each memory as the grain of sand that the pearl grew around: a hard, protective shell to keep it from drifting away. I reach for the phone, but Sophie gets there more quickly and punches the disconnect button. “You promised,” she says, but her attention has moved past me to something over my shoulder. I follow her gaze toward the red and blue lights outside. Three police cars have cordoned off the driveway; two officers are headed for the front door. Several neighbors stand on their porches, watching. Everything inside me goes to stone. If I open up that door, I will only hear something that I am not willing to hear – that Eric has been arrested for drunk driving; that he’s been in an accident. Or something worse. I sit very still with my arms crossed over my chest. I do this to keep from flying apart. The doorbell rings, and I hear Sophie turning the knob. “ Is your mom home?” one of the policemen asks. The officer is someone I’ve worked with; Greta and I helped him find a robbery suspect who ran from the scene of a crime. “Delia,” he says evenly. Immediately, relief swims through me. If they want my father, this isn’t about Eric. “I’ll get him,” I offer, but when I turn around he’s already standing there. My father does not take his gaze off me. “You were,” he says.